Mary Shelley's Frankenstein features a legendary creature that sprang from a literary legend. But is one as much of a fabrication as another? Astronomers actually traveled to the house that Mary Shelley wrote Frankenstein in to see if her account of coming up with the concept was reality or fanciful lie. A group of future literary giants were gathered at Villa Diodati in Switzerland in the summer of 1816. Lord Byron was there, with his soon-to-be-forever-miserable lover Claire Clairmont. John Polidori, a good writer whose legacy was overshadowed by that of Byron, was also there. Percy Bysshe Shelley, the romantic poet who would write Prometheus Unbound, and a close friend of Byron, also came, and brought his fiancee, 18-year-old Mary Wollstonecraft Shelley. To amuse themselves, they decided that they would all write the most horrifying ghost stories that they could, and share them towards the end of the visit. While most of the rest started on their stories, Mary Shelley was hopelessly stuck, and agonized for days. One night, after the group had stayed up talking about philosophy after 'the witching hour,' she had a nightmare about an obsessed scientist trying to force life back into a cadaver. She woke to find bright moonlight streaming through her window, and set to work writing a story that would soon define a genre: Frankenstein. And that story was first written in 1831, in a preface to the successful reprinting of Frankenstein. Science was making the impossible seem more possible by the day, people were hailing the book as a dark vision of the future, and Shelley had every reason to play up her credentials as a mystic visionary. When historians look back at the actual party at Villa Diodati, the story comes into question. There isn't a consensus as to when the gathering started, when the story competition was proposed, and when Mary was finally getting started on her story. All of this happened in June, but while some accounts have the story competition starting on the 10th, which gave Mary plenty of time to agonize before the moon began to wane, others have it starting on the 16th, which meant she either started it right away or agonized and woke up to a moonless night. There are only two concrete reference points that anyone can make. One is the actual moon, and its position in the sky. The other is the diary of Polidori, who was a doctor as well as a writer as well as a drinking buddy of Byron's, all of which took some fortitude and so indicate that he's a reliable source. Polidori sets a definite limit for the proposal of the story contest. On June 17th, he makes an entry in his diary that states, "The ghost-stories are all begun but me." He also makes reference to the fact that the entire group of people had all gathered on at the Villa the night before. This puts holes in Mary's story. The doctor might have been under the false impression that she was started on her story, but the moon was dropping out of sight over the next few days, meaning she couldn't have woken up to a moonlit night. This is why most people consider her version of the story false. A team of researchers from the Texas State University-San Marcos would brook no such criticism! They set out to build a vindication of the rights of Mary, Wollstonecraft-style. First, they used historical documents. No letters or records specify the date on which the contest began. The doctor's June 16th entry indicates a gathering, but the story contest could have begun well before it. People first began grouping there on the 10th, and the proposal could have been made any time after then. In fact, why would Polidori even complain about everyone getting started except for him if it had only been a day? The Texas team also pointed to an entry from Polidori's diary on the 15th, that showed that a late-night philosophical discussion, like the one Mary described, did take place. But does the rest of the story hold up? It all depends on the moon. They looked for the evidence. Off to Villa Diodati they went, after looking up weather and astronomical data from the time. If all it took was a look at astronomical charts, they could see that a gibbous moon had been out on the night of the 15th and morning of the 16th. But Diodati is surrounded by hills, and these block out the moon in some areas. Mary's story might have been completely false if the moon's light could never reach her window due to being blocked by a hill. The astronomical group measured the height of the hills around the Villa, and calculated the position of the moon all those years ago. They concluded that just between two and three o'clock in the morning of the 16th, the moon would have risen over the hills across from Villa Diodati, and been able to stream light through the windows. The 'witching hour' that Mary talked about in the preface to the novel is midnight. If the contest was proposed as early as the 10th, Mary could have talked philosophy with the group on the 15th, gone to bed, fallen into a fitful sleep, and woken to find the moonlight shining in on her, just as she claimed. By the 17th, everyone was working on their story except for poor Polidori. 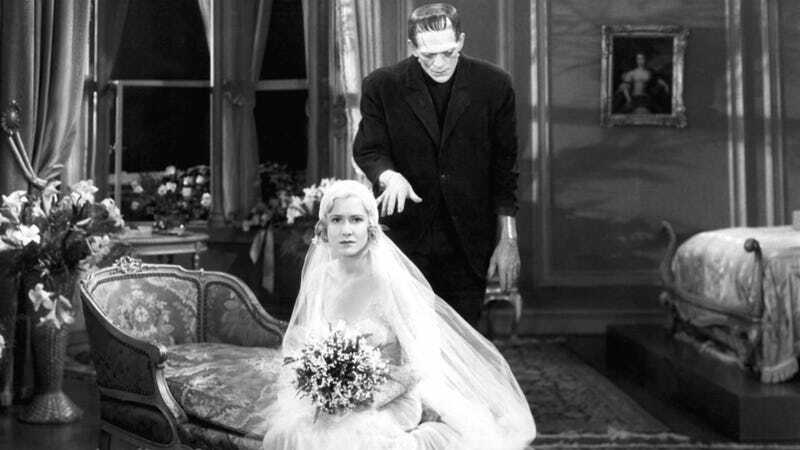 The the date of the original proposal is lost forever, but this combination of evidence indicates that Mary Wollstonecraft Shelley was telling the truth about the origin of the Frankenstein monster. Via Sky and Telescope twice, Texas State Colbert.